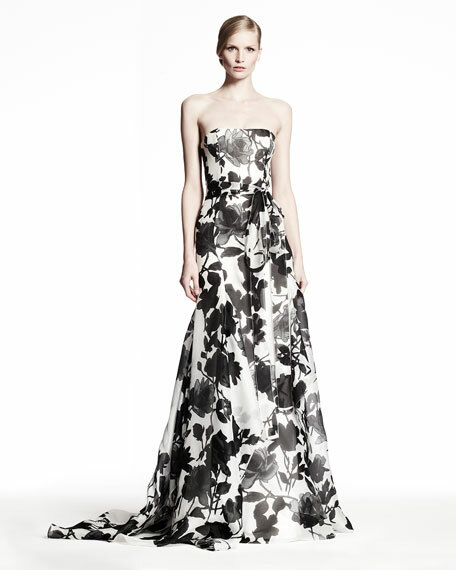 Awash in monochrome roses, this Caroline Herrera gown is a contemporary centerpiece. 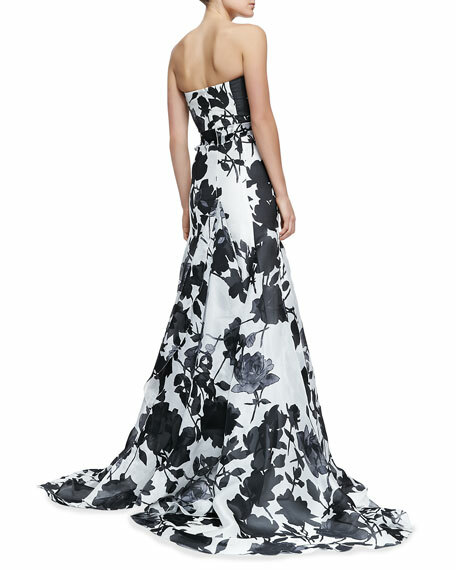 Rose-print silk taffeta gown by Carolina Herrera. Self-belt ties in bow at waist. Full godet skirt pools on floor. 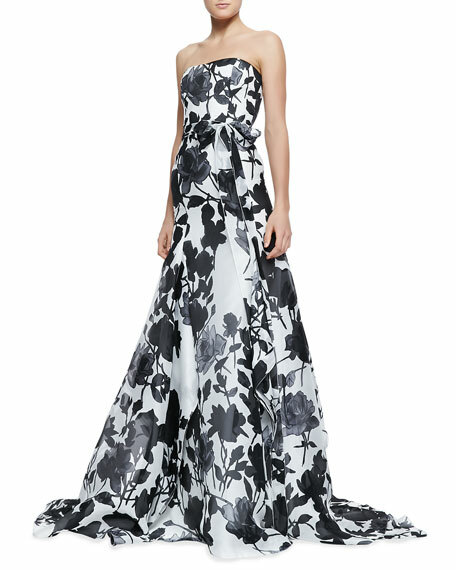 The empress of classically refined looks for both day and evening, Carolina Herrera hails from a family of Venezuelan aristocrats. Encouraged by her friend Diana Vreeland, she launched her eponymous line in 1980. Over the years she has collected a number of fashion's highest accolades as well as a star-studded client list.